Another Disclaimer, Again ::Apologies to any sessions that aren’t mentioned in these reports. I’ve said it before, my memory is faulty. As Sunday’s are special to me, I did something special as soon as I woke, which wasn’t very early. On went the togs, and before the sleep had fled my brain, or eyes, I jumped into the well landscaped pool. And instantly became the most awake person within the campsite. Man alive! that was cold water. So, instead of getting out, I tried to jump around more, in and out, getting the body moving. That wasn’t working, so I sat in the heated spa that was next to the popsicle pool. This was just the ticket. If I sat in there for a bit, I was insulated enough to spend more time in the arctic waters before freezing. Twas fun. Now, reader beware, there will be some ranting, some froth around the edges of my mouth. At this point in the conference, we saw probably the best single capsuled event that should be the shining driving light of clarion. One of the best things about the Web 2.0 phenomenon is watching the videos. I’ve seen countless showings of what these products can do, and most of them aren’t even out of beta form (Ruby on Rails – ROR – being one of the notable exceptions). 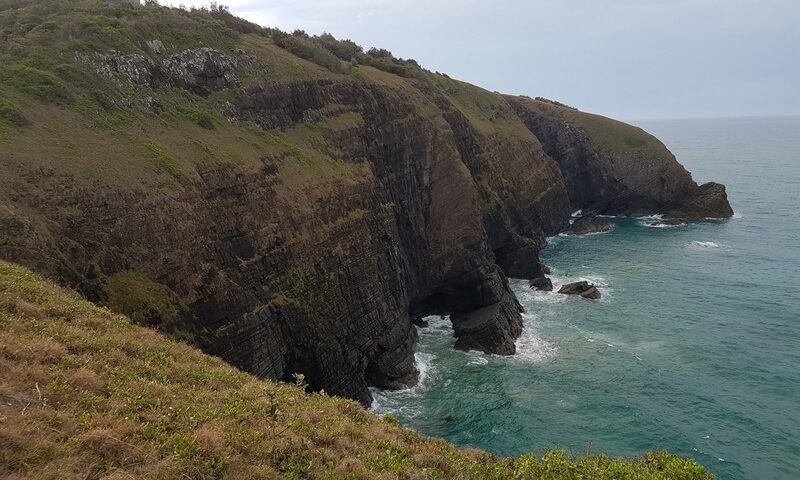 In this session, Bruce and Jono demonstrated what you can do with a generic (Wizard created) app and their bundle of addon templates. It was amazing. Not so much the app, for myself. I mean, that was amazing. Capesoft have some of the best functionality in existence. But more, I was caught in a vision of how things could be. We need a video of what these guys did. Voice-over, watching the screen. From creating the app in the clarion wizard to watching Send To create a pdf of a browse. And with that video, you could create the kind of momentum that comes with the Web 2.0 crowd. Seriously. It could be done .. it should be done. Look at how much interest ROR generated half a year ago. It only had that one video at the start, but man alive, what a video it was. Same with the other startups. The kind of functionality you can create for a database driven app in under an hour is overwhelming. I realise there are other factors involved, and that .NET has a lot of things going for it right now .. but there are other avenues. Other passages. And development should be lazy, as many have said before me. Good development has that lazy factor to it. Back to the actual session .. this is what Capesoft provide. A way to create magical programs .. lazily. Easily. Without effort. And really, Bruce waving his Mickey-Mouse hands around really were just icing on the cake. The content was pretty awesome. Watching Jono work through the templates, adding the functionality, you really got a sense of how much Capesoft is integral to the success of Clarion. They are the beating heart .. Clarion being the body .. well, I don’t want to take that analogy any further, you get my drift. Perhaps I’m being opinionated, well .. no perhaps. But I’ll stick to my guns on this matter. Even knowing that SV are working extremely hard on Clarion 7, getting it shipped and out the door, it doesn’t change the unease I feel that all these opportunities to be Pimp’n Clarion are not being leapt at. ‘Nuff ranted on the matter, for the moment. Ahh. Here I actually switched on reporter mode and took some notes. That’s the new structure, as I took it from what Russ drew on the board. Nice. Simple to understand. Page-Breaks in the Report .. This has been forwarded to the Reports team, no word on whether it’s in for Initial Release .. Instead of window orphaning? Debugger .. No changes in Initial Release ..
Debugger in .NET is Brand New! 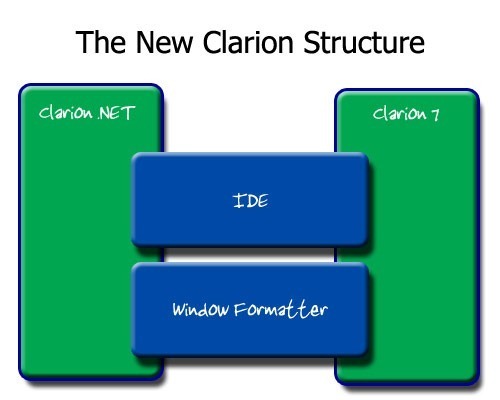 Clarion .NET, it can call both sides of Namespaces .. that is, from C++, C#, .. ==> Clarion .NET, and vica versa, Clarion .NET ==> C++, C#, ..
And there we have it. In a nutshell of notes. There are some exciting points. Hopefully things will turn out. But as I thought at the time, I’m still excited about what Clarion 6 can do .. realising it’s bugs, I’m more thinking about what we can show the world right now. Now, on the previous day (I think) i’d won a cd of D-Icons, so I had vested interest in this session. And after some hilarious jokes and even more hilarious banter, Dave preceeded (proceeded?) to give away his secret. It’s easy. Axialis Icon Workshop. This made me happy. I’ve had said product for some time, and used it to modify icons where I need. But to create new ones???? That would require me to .. wait on .. Dave showed the way. It’s really really easy. But also, I’m stoked because I don’t even have to do that, with the bundle of each set on the cd. Nice Dave, very nice. They went onto this baby (laptop) asap when I returned home. Am hoping to get an app out here on DevDawn showcasing them soon :). Last (to my memory) was Andy K with a rundown of his stuff. I’ve already given my thoughts in Day Two, suffice to say, it’s good. Visit his website (Clarion Tools) or drop him an email (not sure, his website has a contact form). And so the bell tolled for the conference to end (it didn’t, there was no bell, but man they are cool). We had to bail pretty much straight away to catch our flight. Thanks again to Tony & Dave. Excellent stuff!